Is Your iPhone Battery Healthy Enough? As a step further in order to improve the battery life performance on its device, Apple has introduced a new screen in the iOS 11.3 beta 2 settings known as Battery Health (Beta). The settings are available for all iPhones since iPhone 6. The settings include information on capacity (maximum) of the battery in any given device. It informs if the battery has downgraded to its maximum limit and is no longer in the condition to offer the best performance. The performance management settings in Apple devices that are upgraded to iOS 11.3 have the settings disabled. The settings will be enabled by the system itself in case your device will experience any unexpected shutdown. To disable the settings in the iOS 11.3 manually, users can go through: Settings > Battery > Battery Health that’s all. For now, Apple has made available the performance management settings on a series of iPhones including iPhone 6, iPhone 6 Plus, iPhone 6s, iPhone 6s Plus, iPhone SE, iPhone 7 as well as iPhone 7 Plus. With iOS 11.3, the performance management disable settings have been made user-friendly along with settings to stop the throttling. It contributes to restoring device’s optimum performance. Moreover, Apple has contributed with additional algorithms that decide when the performance management should start performing. Apple has already confirmed that the new performance management setting is much more prominent and effective than it was before as it can automatically adjust the settings, without manual assistance. The screen will confirm the performance detail of your device. In case you are presented with a screen as mentioned below, it is clear that your device is being throttled and has encountered an unexpected shutdown. 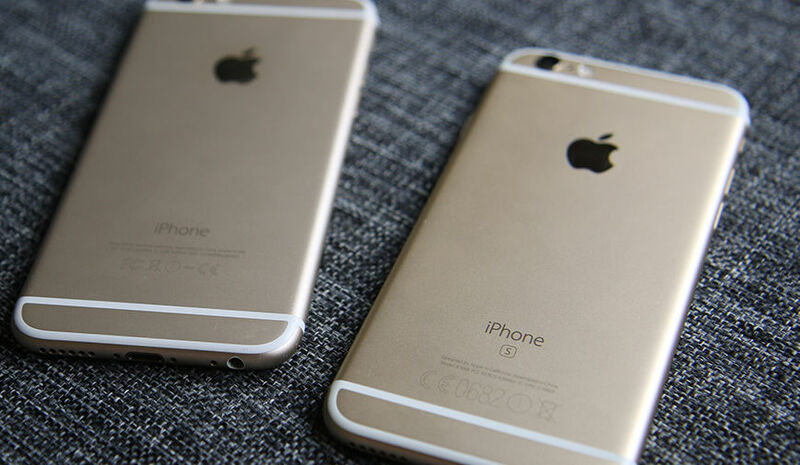 In iPhone devices, the battery gets severely degraded when its maximum capacity reaches 80% mark. 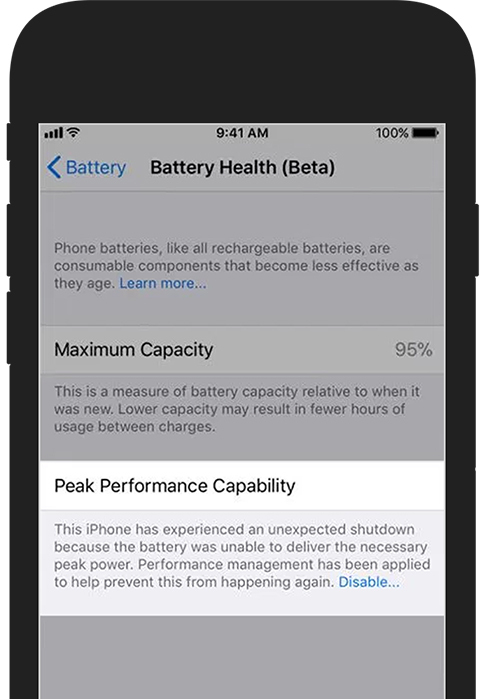 In order to keep the users updated, Apple will additionally include a note in the battery health page to direct users to get a replacement with an embedded link to the service options available for them. In case, the device somehow fails to notify about the device performance, the battery health screen will suggest a replacement for the same to the users. In order to educate the users on the iPhone’s battery and the unexpected shutdowns, Apple has officially rolled out a full explainer over its website along with information on iOS 11.3. In case, you want more information (specifically on ios 11.3), you can have a look at the suggestions posted on the website. iPhone batteries are expected to last at least 500 cycles meaning they will offer exceptional performance until reaching 80% of their entire capacity.